Both Yahoo! Inc. (NASDAQ:YHOO) and AOL, Inc. (NYSE:AOL) haven’t had a good run in Silicon Valley. Activist investor Starboard Value LP however thinks that if the two companies come together in a merger, they will register some progress. The question that lingers is whether a possible merger will mean higher business growth or simply stagnation. Starboard Value LP put the pressure on Yahoo! 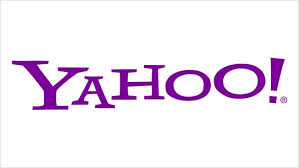 Inc. (NASDAQ:YHOO) to merger with AOL, Inc. (NYSE:AOL) after buying a “significant” stake in Yahoo! Inc. The proposal, presented in a letter, asked Yahoo! Inc. to undertake some other measures such as cutting costs, foregoing certain kind of acquisitions, and providing indicative plans for its Asian assets. However, what many analysts are asking is what a possible merger between the two companies would mean. If the two companies come together, they will have bigger muscle to compete in advertisement business, but will still be shy of both Google Inc. and Facebook Inc. According to Starboard, a merger of Yahoo! Inc. (NASDAQ:YHOO) and AOL, Inc. (NYSE:AOL) will mean cost cutting to a tune of $1 billion. But even with the costs down, ensuring business growth is a major challenge. Yahoo! Inc. (NASDAQ:YHOO) and AOL, Inc. (NYSE:AOL) are also lagging behind in mobile, a fast growing segment that many key players are seriously exploring. In terms of digital advertisement, both companies have come down this year compared to 2013, according to a report by eMarketer. “Neither company is a leader in ad dollars, and other than cost savings, there is little to gain by combining them,” said Erik Gordon, a professor at the Ross School of Business at the University of Michigan. The announcement saw both stocks rise on NASDAQ with Yahoo! Inc. (NASDAQ:YHOO) posting 4.4% rise to close at $40.60 while AOL, Inc. (NYSE:AOL) rose 3.7% to close at $44.55.